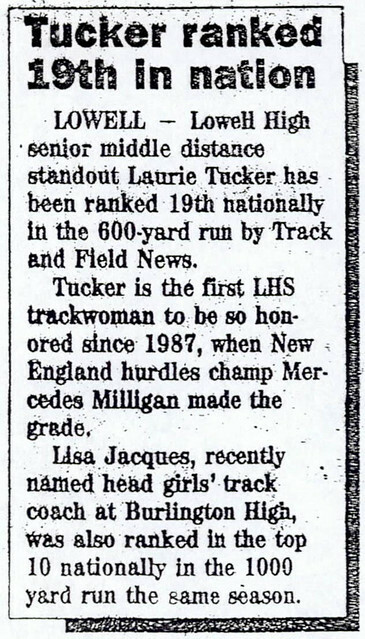 One of the truly outstanding middle distance runners in the history of Lowell High School, Laurie Tucker Descheneaux achieved significant honors at the local, state, regional, and national levels during her careers at both Lowell High and later at University of Massachusetts at Lowell. 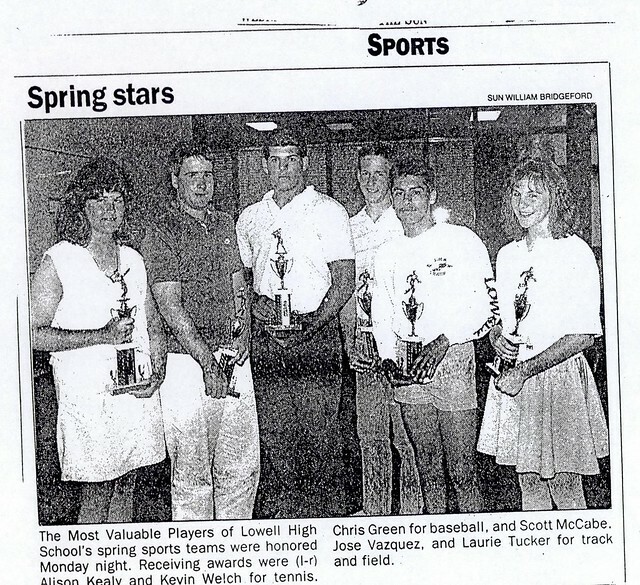 During her high school career, Laurie was a dominant force in the Merrimack Valley Conference. She was a key performer (and senior team Captain) on the Red and Gray cross country team that won 3 consecutive MVC championships while compiling an overall 29–3 team dual meet record during her4 years. Laurie also won 53 of 56 dual meet races during her indoor and outdoor careers. 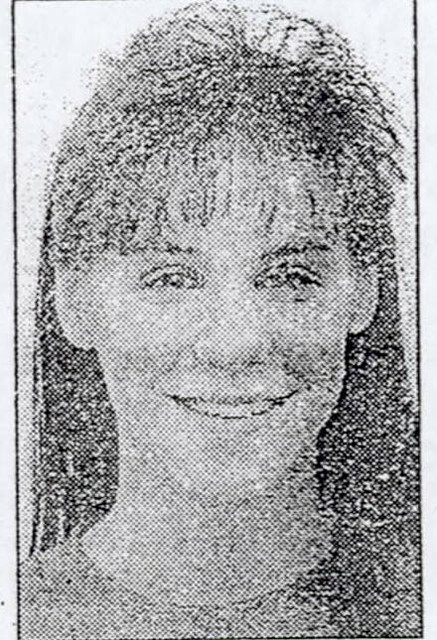 Laurie was a 9-time Lowell Sun All-Star and 8-time team MV won 12 varsity letters as a member of the Raider Cross and Track teams and was named as an MVC All-Conference selection 9 times. She held numerous school records in a variety of events throughout her career. Laurie also enjoyed considerable success beyond the local level. 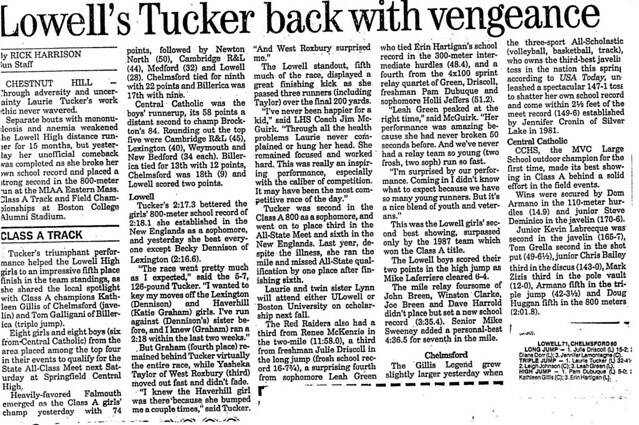 She led the Raiders to 3rd, 5th, and 4th place finishes at the Eastern Massachusetts Division I Cross Country Championships in 1988, 1989, and 1990 respectively. 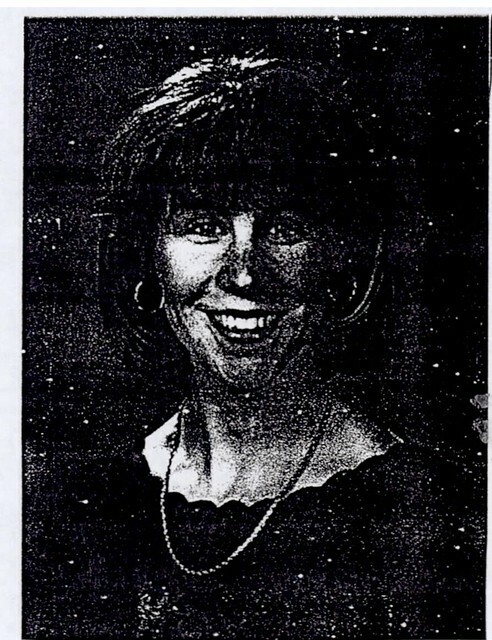 During the indoor and outdoor track campaigns, Laurie was a regular place winner at the Massachusetts State Championships in a variety of events ranging from the triple jump to the 1 mile run, highlighted by 2nd place finishes in the 600-yard run (indoors) and 800 meters (outdoors) during her senior year (1990–19911. Laurie placed 3rd in the New England Championships in the 600 meters that indoor season as well. 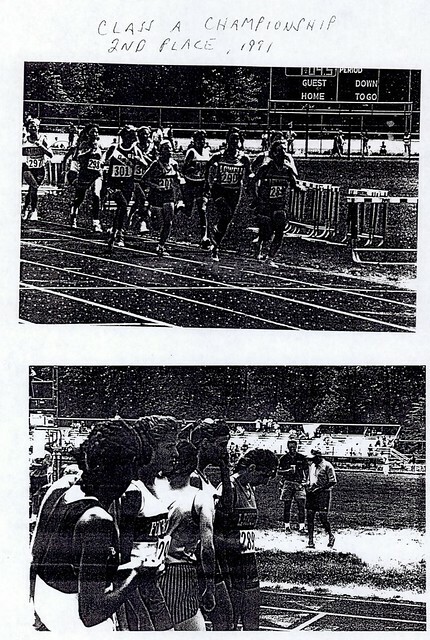 She was also a 2-time state champion (1989 and 1990) as a member of the Red and Gray 4×1-mile relay team. Laurie’s 600-yard time of 1.29.1 was ranked 19th nationally by Track and Field News in the 600 for the 1990–1991 season. After graduation, Laurie accepted a track scholarship to the University of Massachusetts at Lowell where she continued her running exploits. During her 4-year career for the River Hawks, Laurie compiled an enviable record. 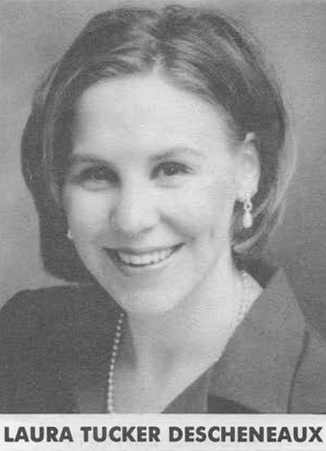 A 4-time team Captain, Laurie won All-East honors 3 times and was an All-New England selection in 1994, helping lead UMass to Eastern Collegiate Athletic Conference (ECAC) Cross Country and Indoor Track Championships. A high honors student majoring in Physical Therapy, Laurie was named the ECAC Robbins Scholar Athlete of the Year for 1994–1995. 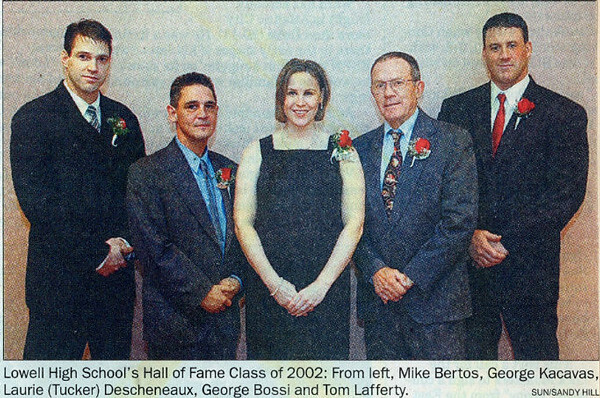 She was then named an Academic All­American in 1995. Along with her twin sister Lynn, Laurie was awarded the University of Massachusetts at Lowell Athletic Scholarship Award at commencement, honoring them as the highest-ranking student athletes during their 4 years at the university. 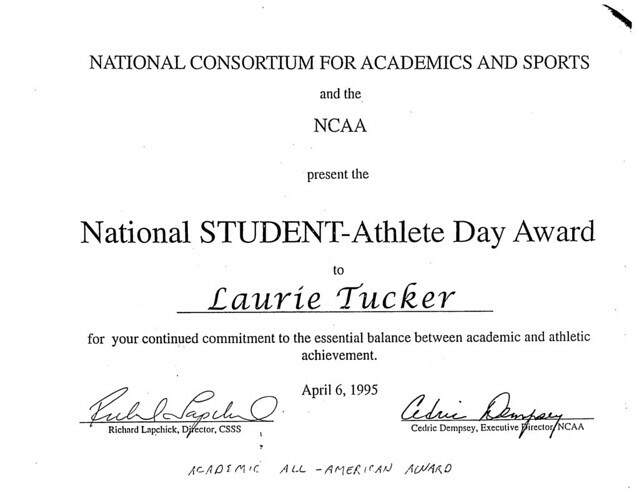 Laurie culminated her career by qualifying for the NCAA Division II National Championships in 1996 where her time of 2.11.79 narrowly missed All-American honors.